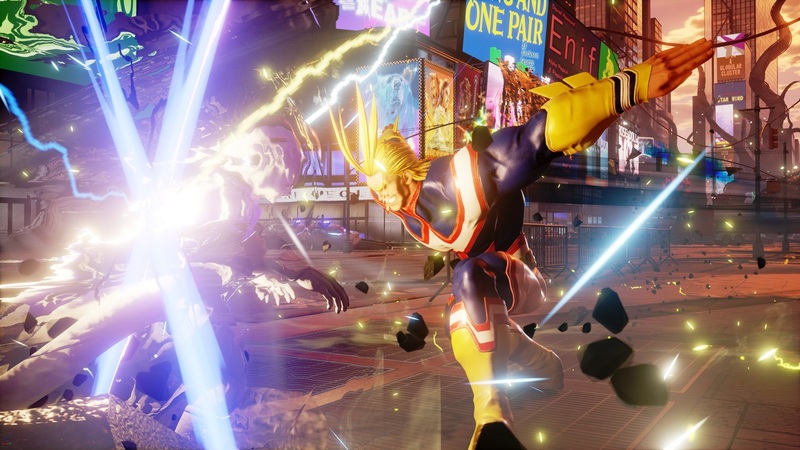 My Hero Academia's star character, All Might, will be coming to Jump Force as DLC soon. Bandai Namco revealed the news on its Facebook page with a plethora of screenshots to show him off. I'm curious if his super move will be the "United States of Smash," which could honestly be a good name for a Smash Bros. tournament. All Might is the second DLC character revealed for Jump Force. The First, Yu-Gi-Oh's Seto Kaiba, was said to be released in May alongside two other fighters, so All Might is likely to be accompanied by another mystery dueler. I'm not sure what the price is for individual fighters, but you can nab them all in the "Character Pass" for $29.99 on your respective platform.